Go straight for the heart with these colorful and delicious giveaways. Whether your goal is to raise awareness for a charity or sponsor an event, our marketing options are a playful and edible way to say thank you to participants. This 1 oz. heart shaped candy in molded milk or dark chocolate is wrapped in red foil. 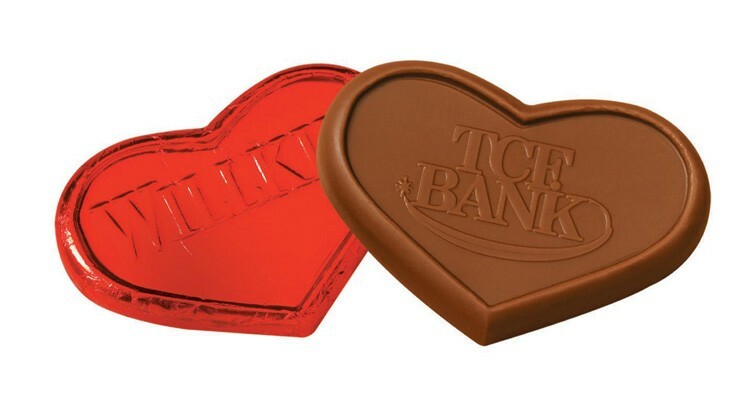 Customize each tasty piece with your company's signature logo or personalized message. Kosher certification available.